I founded BMSoftware back in 1998 but my computer background began at school in 1982 aged 15 with BBC B 32k computers, tape decks, BASIC, then aged 18 an Amstrad CPC464 CP/M with all of 64k memory. I spent a year designing a historical Napoleonic wargames programme only for it to run out of space saving it on the tape cassette! I could not be bothered to rewrite the game code I had written from an earlier saved version and abandoned my career as a software game designer. At University I studied Fortran 77 – an already ageing engineering computer language. All this was pre-Internet, pre-Windows. My next computer was a gifted Sanyo twin 5.25″ disk desktop and daisywheel printer. I bought my first 386 laptop for £1400 back in 1992, it had a 20Mb hard drive, 640k RAM and ran MS-DOS 6. It blew up after 14 months and I managed to get a free upgrade to a 486, 120Mb drive the next year, running Windows 3.1 – I still have it and it still works! I did my first writing on it for a correspondence degree in theology that I undertook post-Uni degree in Economics. I began reselling computer software via BMSoftware because of a need to multilingual wordprocess in Hebrew, Greek, Arabic, Cuneiform and more for a Hebrew course I was writing. That led to contacting suppliers and being offered trade prices if I resold the software to students. That led to me reselling IBM Thinkpads, the only laptops I have used for 20 years. They are so well made and I’ve travelled the world with them, to wet British festival campsites along with a solar panel and spare battery packs, to Kenya and the dry Egyptian desert. I once dropped one 3 feet onto concrete and it still worked with barely a scratch. I even have an IBM Thinkpad 701c Butterfly (1995) with a clever fuller sized keyboard that splits and retracts to fit inside a smaller laptop clamshell. I’ve a touch screen laptop from 1998 running Windows 98 so Windows 8 with touch screen is hardly innovative! It was made by Palmax and similar to the Toshiba Libretto. It was 8.4×4.8″ and with a 6″ screen and stylus pen/mouse, just like the Samsung Note phablet and Thinkpad X41/X61 tablets. I now use the Lenovo X1 Carbon 3rd gen SSD 16GB RAM and thinner, lighter, and blacker than Apple Macbook Airs. For a number of years I became a leading retailer of religious research software especially academic, Hebrew, biblical, Talmud, Koran etc. I bought the business and stock of a London-based Jewish software seller to add to a portfolio of 1000s of education and religion software titles and stock. Because of my interest in languages I ended up specialising in translation software and supplying numerous UK prisons and public authorities with wireless free (for security reasons) laptops and HP iPAQ handhelds with dictionary and translation software in 40+ language for working with foreign nationals. As Amazon and Ebay took off and Microsoft and others went Cloud and Subscription-model for their software offerings, the software business had to evolve again. So now I specialise in both the old and the new. Much software has moved to download provision and that is great to supply, almost zero effort but often reduced margins as manufacturers realise they don’t need resellers anymore. Many rivals have gone bust as a result. I added some contingency to my portfolio by also selling old software – or vintage as I prefer to call it. As a result, I shift multiple copies of software from as far back as 1995 on a daily basis with a profit margin that exceeds that of the newer software I sell. The technology world remains a passion of mine, and the software websites I run still bring in revenue streams that are low-effort and because of my SEO knowledge rank well on search engines for products, usually on the same first page as Amazon, Ebay and the maker’s own site. For example, search for “Davka Biblical Hebrew” on Google and the first 4 sites after the 3 by the manufacturer are all mine. Alternatively, search for “translation software” on Bing and one of my sites comes #1. Search Engine Optimisation (SEO) was an early field of expertise and paid better than web design itself, particularly with owning 200+ domain names. I managed to be an early adopter back in the days when domain renewals were costing me £1000s each year. Fortunately, many have made their money back and more. One keeps earning several thousand a year in affiliate income for no work at all. I paid £2,500 ten years ago for one domain name and was offered £10,000 for one name I own. Social Media Marketing (SMM) and Optimisation (SMO) have become bigger areas of interest now as I seek to publicise my speaking, writing and campaigns for equality, diversity and human rights that I am involved in. I’ve been on Facebook since 2007 with 4,000+ friends and followers, Pinterest appeals to my very visual OCD outlook but I’ve only just started to enjoy the immediacy of Twitter for news and comment, nonetheless, I was able to gain 100+ followers a week as I grew my Twitter feed and following to several thousand on each of multiple accounts and projects. My computers have to cope with my multi-passionate 4 browsers with 150+ open tabs working environment. I was drawn to multiple screens when I watched Sandra Bullock in the film The Net (1995) ordering pizza off another screen whilst working on another! As a result, I use a dozen laptops and screens in various offices, studies, bedrooms and the garden. I’m still available via KJW Solutions to offer any kind of web or techie advice. 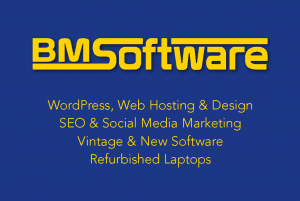 I do WordPress web design, Copywriting and editing, Google rank and Search Engine Optimisation, domains and website hosting, Social media management and promotion, and press release writing, apart from software and refurbished IBM/Lenovo laptop sales.